Presiding Lord Vaishnava Nambi-Azhagia Nambirayar is gracing from the sanctorum facing east. 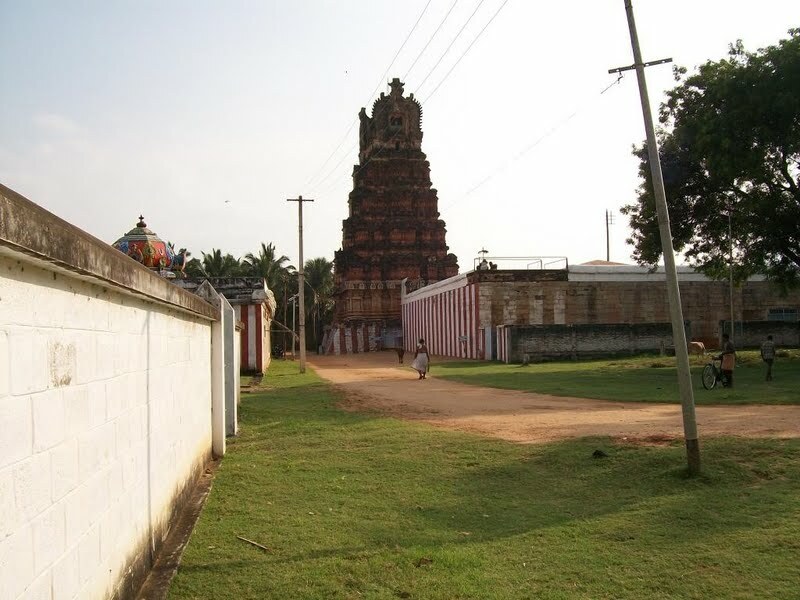 The Vimana-tower above the temple is of Panchaketa Vimana design. Lord Shiva and Gajendran had worshipped Nambi in the temple. There lived one Nambaduvan, belonging to a backward community at the foot of Mahendragiri hills, was a staunch Vishnu devotee. 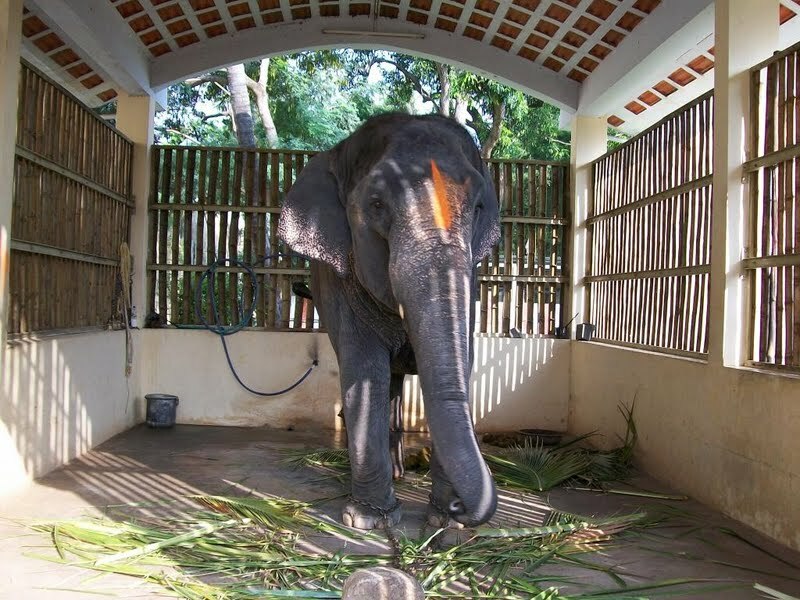 He was sad that he could not have the darshan of the Lord Azhagia Nambi even from outside the temple as the flag post-Kodimaram was shielding the sanctum sanctorum. To oblige Nambaduvan, Lord asked the flag post to move a little to enable the devotee to have His darshan. We see the flag post in the temple slightly moved to a side. The temple also houses the shrines of Lord Shiva and Lord Bhairava as a symbol of Saiva-Vaishnava harmony. When pujas are performed to Lord Nambi, to ascertain whether pujas are performed to Lord Shiva also, a priest nearby would ask “anything short for Lord’s beloved friend”. The other one will reply “nothing”. This is in vogue even today. Lord Nambi is praised in the Mangalasasanam hymns of Nammazhwar, Tirumazhisai Azhwar, Tirumangai Azhwar and Periazhwar. Periazhwar was no less an avatar of Lord Nambi Himself. 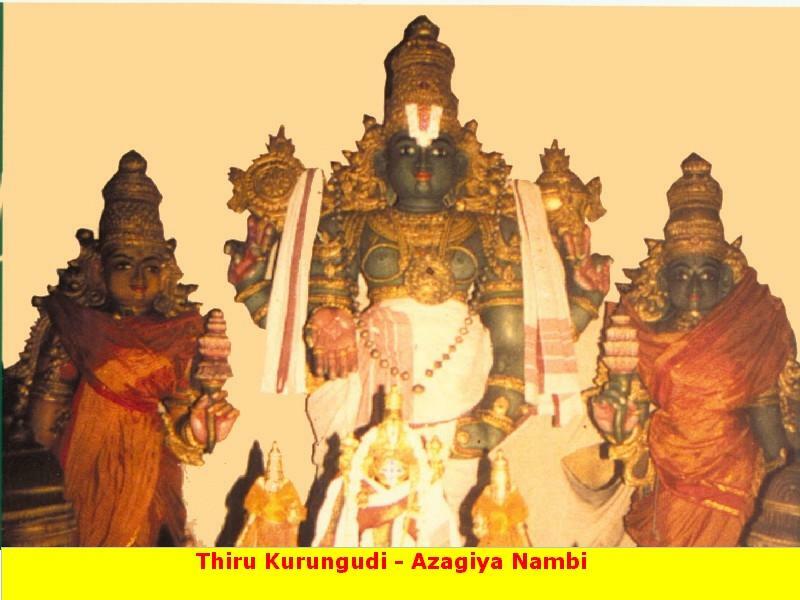 Thirumangai Azhwar was directed by Srirangam Lord Ranganatha to go to Tirukurungudi where Nambi would grant him salvation he wished. Lord Nambi graces in four forms, standing, sitting, reclining and walking. Kurangam in Tamil means Mother Earth-Bhoomadevi. 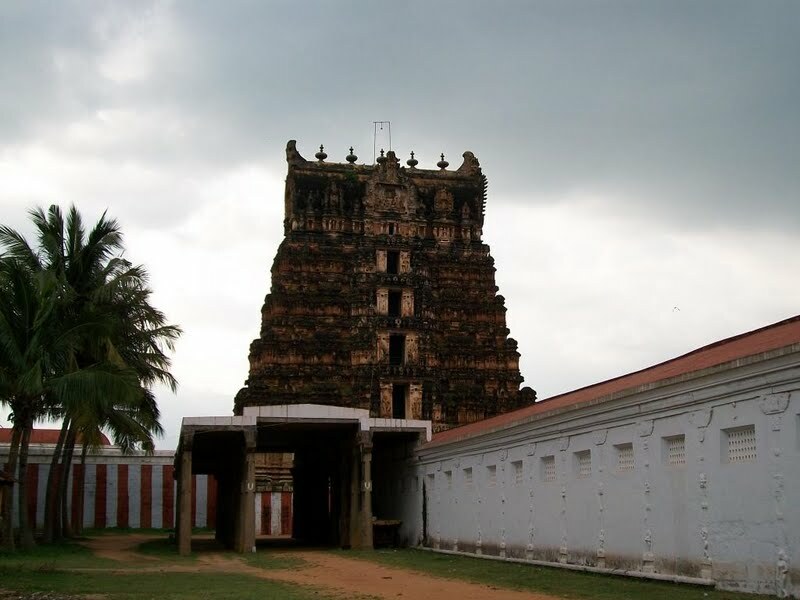 As Mother prayed here on Perumal, the place is also known as Kuranga Kshetram. Lord Vishnu condensed (Kurukuthal in Tamil) his huge Varaha Avatara form here situated on the banks of Nambi River while with Mother Mahalalakshmi, the place is named Kurungudi. When He took the Vamana (Dwarf) Avatar and then grew touching the sky, the spring that came out of his anklet is named Silambaru, Silambu-anklet, according to ancient scriptures. Earth was retrieved by Lord Vishnu with His Varaha Avtar when demon Hiranyaksaha tried to take it away. Mother Earth sought the guidance of Lord Varaha to reach him. Lord said that he could be reached through music. A problem arose between a man of backward community and a ghost. When the ghost tried to devour the man, he promised the ghost to come back to it after singing the praise of Lord as it was a sacred Kaisika Ekadasi day. The man attained salvation that day as he sang the praise of Lord and ghost too attained salvation as it heard the man singing the praise of Lord. Kaisika Puranam revolves around Nambaduvan, a low caste person belonging to the Baanar family, his unflinching faith in Lord Nambi and how he was instrumental in liberating a Rakshasha from a curse and helping him attaining Vaikunta Moksham. The Kaisika Puranam is also a perfect case study on the values of life and how it is important to keep up one’s promise at the cost of anything, including one’s own life. 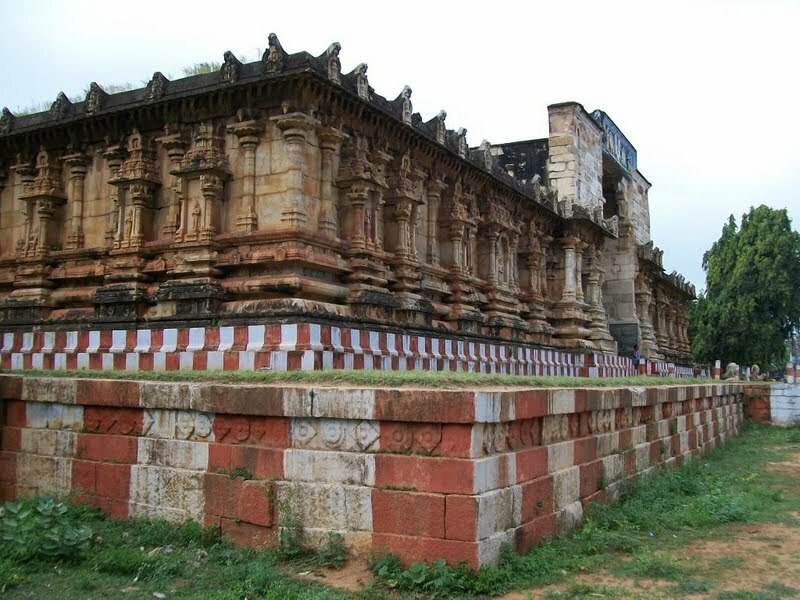 Being a low caste person, Nambaduvan was embarrassed to enter the temple during the day (similar is the story of ThirupaanAzhvaar who, born in a ‘lower’ caste, would not enter the Srirangam Ranganatha temple and would sing praise of the Lord from the banks of the Cauvery). Every night, he would walk several miles to the Thiru Kurungudi Nambi temple, and for hours together would stand in front of the temple with a Veena in his hand and sing praise of Lord Nambi. And before dawn, he would leave the temple. One night, as he was making his way to the temple, a Brahmma Rakshasha stopped him and wanted him for dinner. Undaunted by this sudden turn of events, Nambaduvan, who had the purest of devotion for Lord Nambi, requested the Rakshasha to allow him to go to the temple for a night, so he could keep up his Kaisika Ekadesi Vratha, with the assurance to come back the next morning after singing praise of Lord Nambi, one last time. Nambaduvan made 18 promises that night to the Rakshasha. Through these promises, narrated beautifully in the Kaisika Puranam as part of this lengthy discussion between Nambaduvan and Brahmma Rakshasha, one comes to know of the different sins we commit every day in our lives as a result of not adhering to some of the basic values in life. This extraordinary promise moved the Rakshasha and he let him go. After having spent the entire night (possibly for the last time) in front of Kurungkudi Nambi, he made his way back to the Rakshasha as promised. On his way back, Lord Nambi, disguised as an old Brahmin, sought the reason for his rushing back much in contrast to his usually slow and thoughtful walk, and on hearing him out condemned Nambaduvan as a fool and offered protection from the Rakshasha. On seeing Nambaduvan, the Rakshasha wondered as to how he could come back, despite being under the threat of being consumed. Even more to his surprise, Nambaduvan came close to the Rakshasha and offered himself as his prey. By now, the Rakshasha had changed his mind. He did not want Nambaduvan’s body anymore. He rather directed Nambaduvan to share the fruits of the entire songs that he had thus far sung in praise of Lord Nambi. After several exchanges, where Nambaduvan repeatedly offered himself as the prey and Rakshasha continued asking for the fruits of the songs, the Rakshasha explained the reason for his current Rakshasha status – He was a Brahmin by name Soma Sharma in his previous birth. His arrogance, as the all knowing, led him to miss a mantra in a Yagna and he was cursed to this current Rakshasha form by the Devas. And that only the purest of the Nambi devotees had the power to relieve him from his curse - and why he wanted to listen to Nambaduvan’s praise of Lord Nambi. Nambaduvan shared with him the ‘Kaisika’ verses, which he had sung that very night in front of Lord Nambi. Just listening to these verses helped the Rakshasha attain Vaikunta Moksham. Festivals: Chithirai Vasanth Utsav in April-May, Vaikasi Jeshtabishekam in May-June, Aavani Pavithra Utsav in August-September, Purattasi Navarathri in September-October, Aipasi Swing festival in October-November, Thai float festival in January-February, Panguni Brahmmotsavam in March-April are the festivals celebrated in the temple. The temple is open from 06:30 a.m. to 12.00 noon and from 04:30 p.m. to 08:00 p.m.
Valliyur is 42 km from Tirunelveli. Buses to Tirukungudi are available from Valliyur.